NOSE: A lot of sherry on the nose, followed by cherry/fruit capri-sun. It’s a very light nose and still a distinct fig spirit comes through, maybe to the detriment of the spirit. So far, an okay start. PALATE: Woodsy sherry with a very light balanced smoke. A sourness comes through after some light spice, like chewing on a toothpick and not knowing when enough is enough. Water opens up vanilla extract, round bosc pear, mint/spearmint and oddly enough, cabbage. FINISH: It’s a medium to short finish, laden with spice, smoke and sherry. This is a perfect example of a scotch that really showcases that not everyone loves a highly rated scotch. I will never buy another bottle of this 12 year old DoubleWood ever again. I don’t enjoy it and I feel like, especially for the price, it doesn’t bring anything to the table. The Balvenie is a great distillery and this might just be a poor showing or an unfortunate bottling. Don’t be discouraged!! Where there is a bad scotch, there is a great bottle right behind it…look…There it is! Don’t see it? Just come back for another review by scotch N sniff! Must Reblog this to send out to my fellow Scotch lovers. 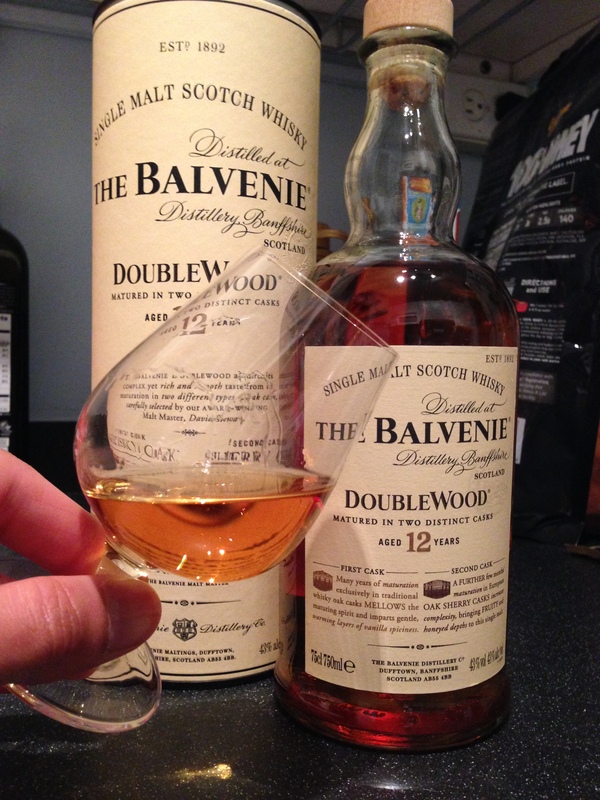 Balvenie Doublewood 12 is a must!